That took quite a while. 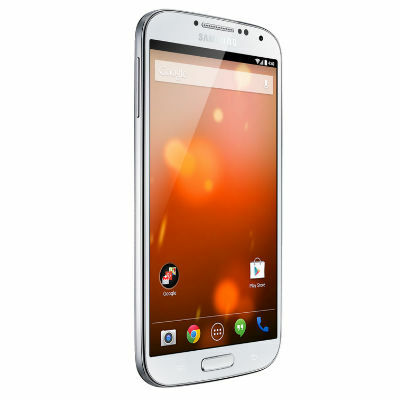 According to a tip sent from an Android Police reader, that very small sliver of Galaxy S4 owners which opted for the Google Play Edition of the phone (running stock AOSP software) is now receiving the Android 5.1 update. That's the one that first started coming out way back in February, at least to Nexus devices. 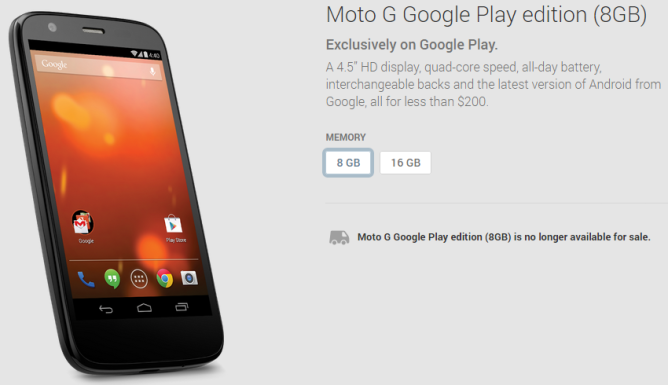 Yeah, the Google Play Edition program isn't looking quite so hot these days, more's the pity. Here's the link to the OTA file. 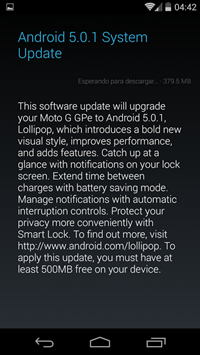 If you've been following Google's Android 5.1 rollout, it's no secret that the release to GPE devices is well underway. 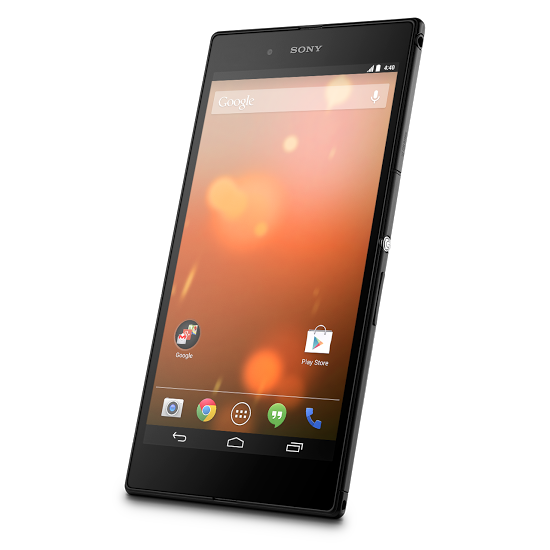 So far we've seen the stock Android variants of the Moto G, LG G Pad 8.3, and HTC One M8 get the update, and now it's time for Sony's massive Z Ultra GPE to have its turn in the sun. The Google Play Edition program seems to have been mostly forgotten by Google and its hardware partners, but at least those devices that were released are still getting steady updates. The latest one to be blessed with Android 5.1 is HTC's One M8 Google Play Edition from last year. Here's the link to the update file. Before you ask, yes, this article is basically just another excuse for me to use Android Police's favorite device abbreviation, LGGP83GPE. 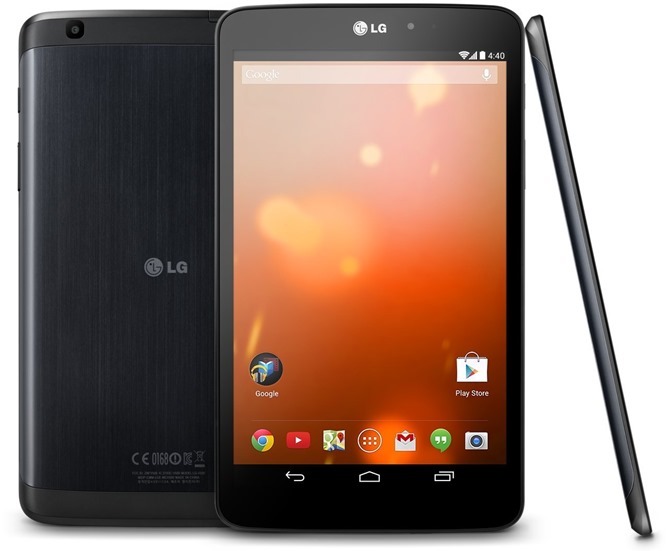 (That's the short-lived Google Play Edition of the LG G Pad 8.3, from way back in 2013.) According to at least one Twitter user and, hey, my own tablet, the LGGP83GPE is getting its Android 5.1 update right about now. 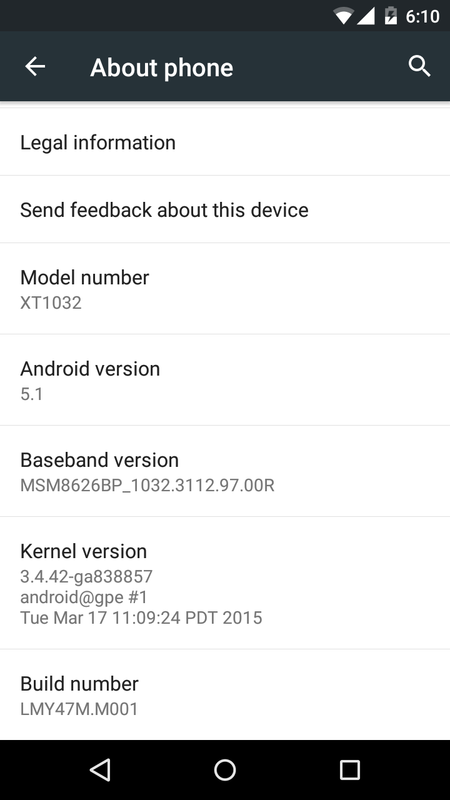 If you're the owner of a Google Play Edition Moto G, your update to Android 5.1 has begun rolling out. Though these things go out in stages, you can always check manually for an update, or if you're too impatient, you can download and flash the OTA manually using the link to Google's server at the bottom of this post. 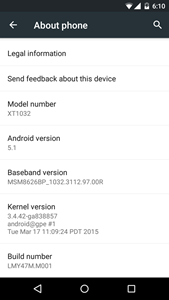 The build is LMY47M and the OTA clocks in at a fairly hefty 171 MB. Google Play Edition phones and tablets started dropping like flies last year, and now we've reached the eventual conclusion. 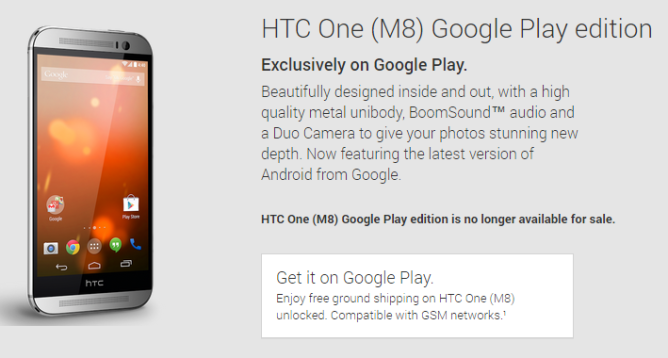 The HTC One M8 GPE is no longer for sale in the Play Store, and it was the last. 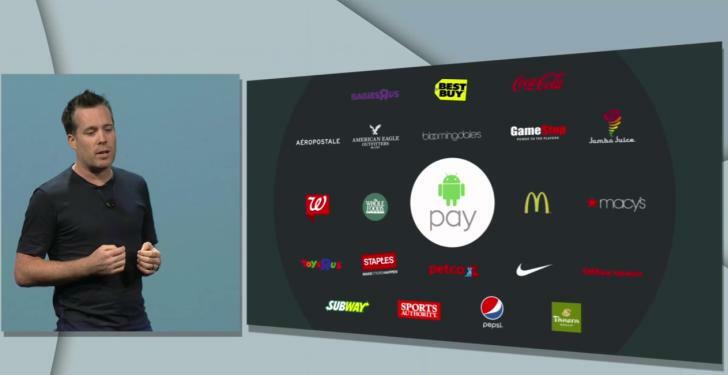 If you want a new device with stock Android, it's going to be a Nexus. Another one bites the dust. 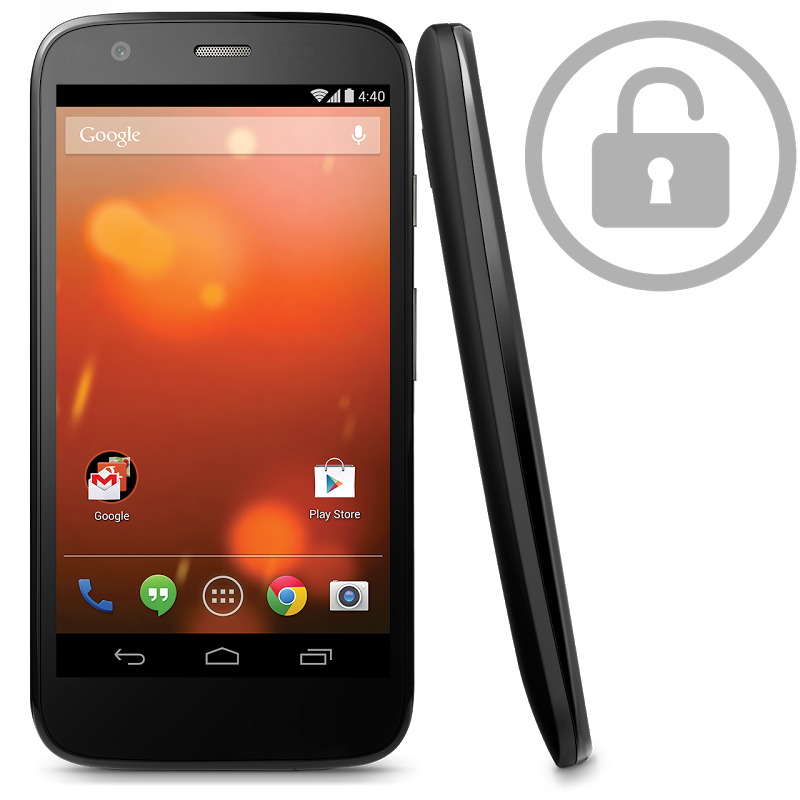 The Moto G Google Play Edition is no longer available in the Play Store. 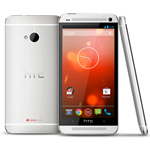 You've been able to pick up the low-cost device with immediate shipping since its debut almost a year ago. Now it's "no longer available for sale." 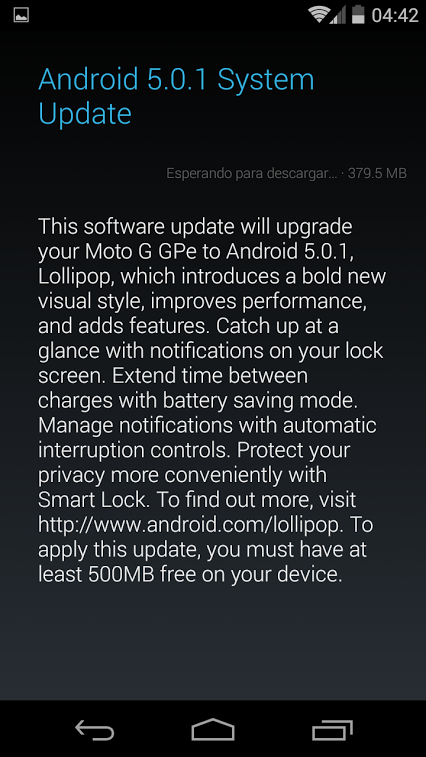 If you're the owner of a Moto G GPE, your Lollipop update is here. 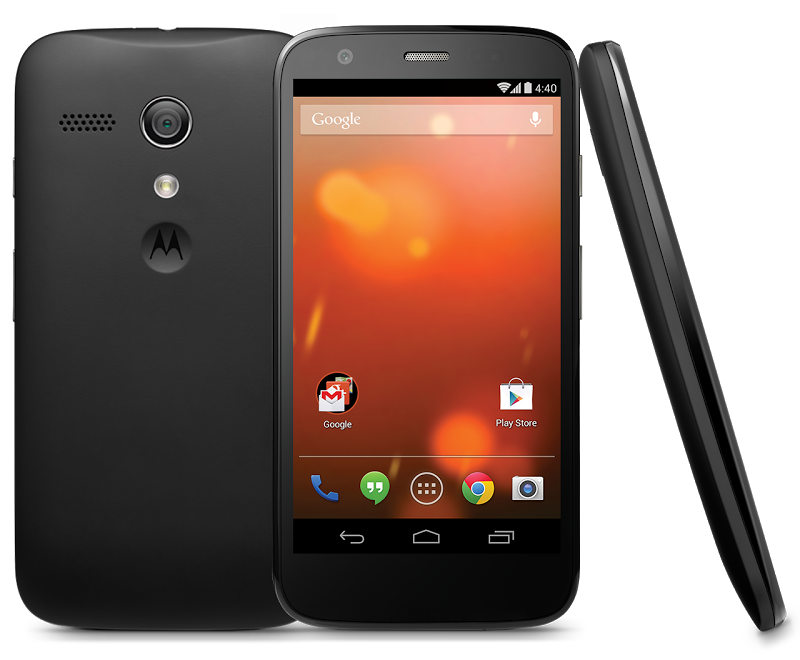 Google and Motorola have begun rolling out the latest version of Android to the budget GPE device, but if you don't have it yet, we've got the direct download link for you at the bottom of this post. Oddly, even though this new firmware is Android 5.0.1, the build is LRX21Z, which would appear to be older than LRX22C, which is the 5.0.1 build heading out to Nexus and other GPE devices.